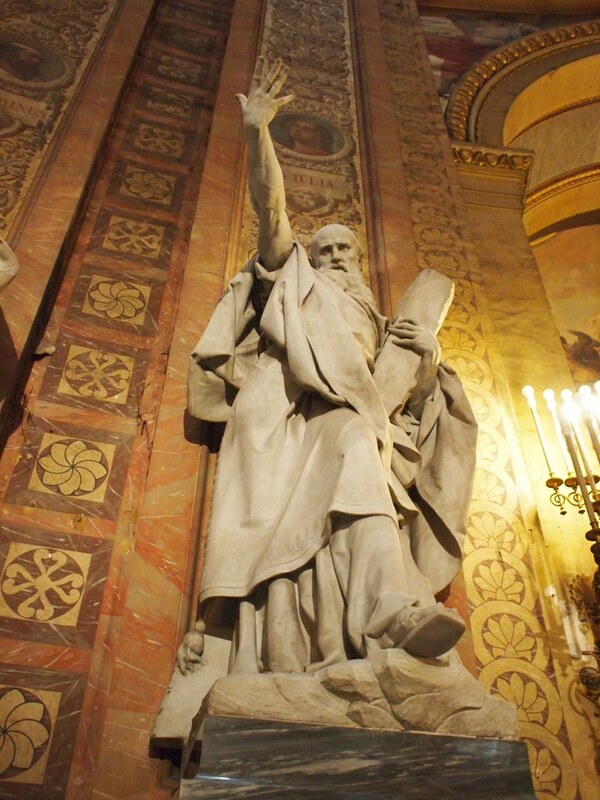 Ricardo Bellver (Madrid, 1845-1924) San Andres (Saint Andrew) Marble. Basilica de San Francisco el Grande, Madrid. Real Basilica de San Francisco el Grande (Royal Basilica of Saint Francis the Great) Madrid, Spain. 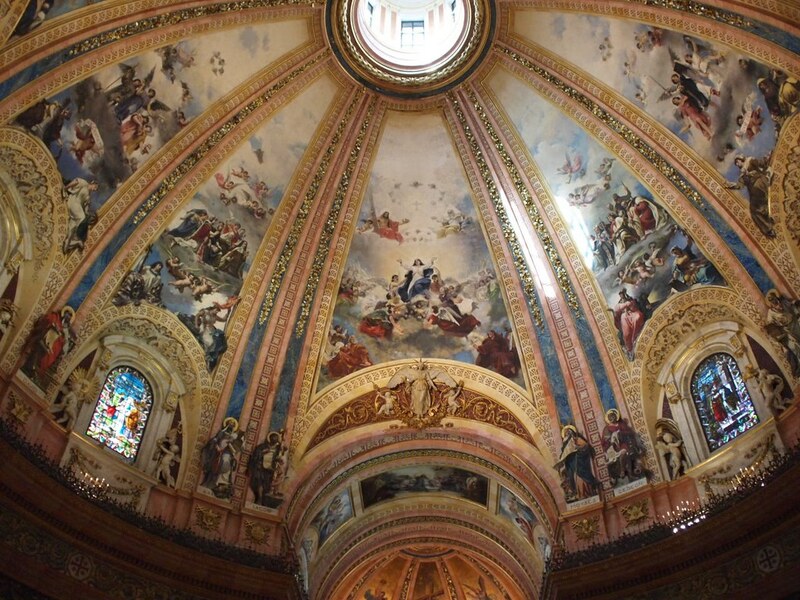 The Basilica’s principal dome–one of the largest in the world–was painted by Casto Plasencia Mayor (). 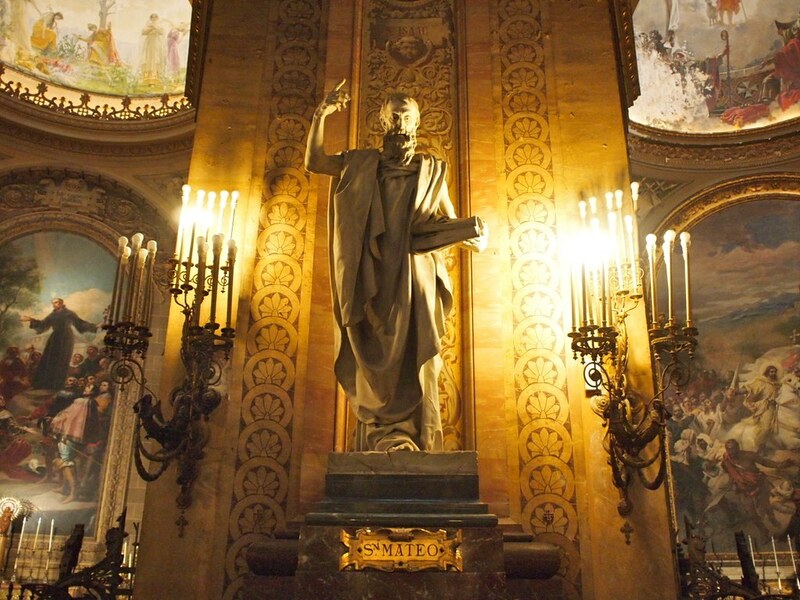 Plasencia had studied in Rome, where he did extensive studies of Raphael’s frescoes in the Pope’s apartments. He also drew inspiration from the eighteenth-century frescoes done by Tiepolo for the Royal Palace, just down the street. Ricardo Bellver (Spanish, 1845-1924) San Mateo (Saint Matthew) Marble. 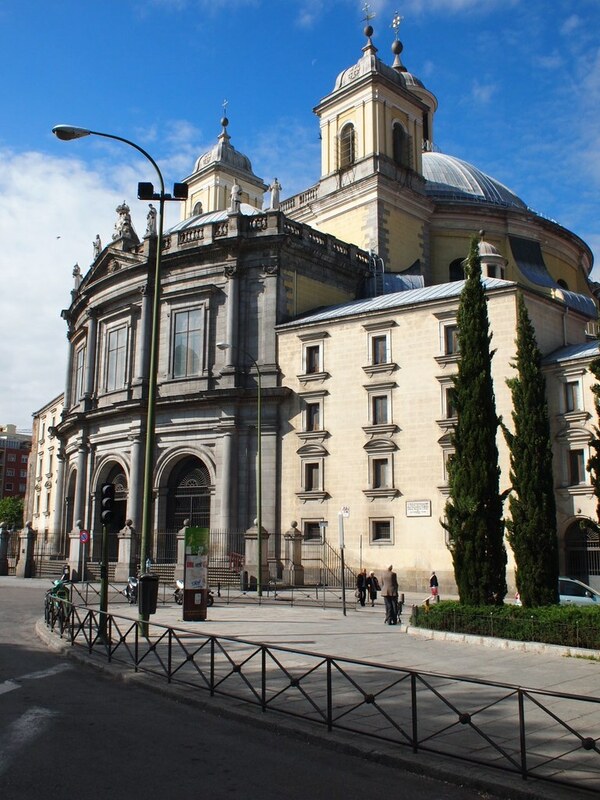 Basilica de San Francisco el Grande, Madrid. I’m so glad your blog is back! Thank you for sharing these images with us. Thanks. It means a lot that you keep checking in, despite my lack of consistency. I’ll try to be better!